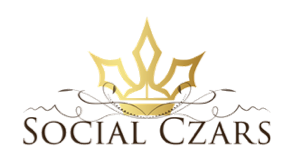 Learn how Social Czars can fix your online repuation FAST! Online reputation problems do NOT solve themselves. A bad digital reputation can cause stress, embarrassment, and lost business. Social Czars helps to restore, to protect and to enhance the online reputation of people just like you every day. With us, most problems can be fixed fast – so you don’t need to stress! Need to remove or suppress bad content in Google search results? We’ve done this for hundreds of clients and can help you – fast. We are experts at promoting existing good content about you/your company, and making sure good content ranks best on Google search – fast. Not an active digital publisher? Don’t worry. We are experts at spinning up websites, social media platforms, articles and press releases with great content about you – fast. We are experts in setting up world-class digital reconnaissance, so you can know what’s being said about you, on all platforms, at all times. Every battle is won before it’s ever fought! John DeMarchi founded SocialCzars after 20 years in traditional and digital media. In just over six years, the firm has built a world-class client roster, representing businesses, celebrities, and even multi-billion dollar corporations. John previously had worked for world-class brands like HBO, VIBE, WorldNow, Latina Media, 20th Century FOX and Gerson Lehrman Group (GLG). He’s won many multicultural marketing awards, including being named to Marketing Sherpa’s Viral Marketing Hall of Fame (2008) for creating VIBE Verses, the first-ever online rap battle for VIBE.com. John holds a B.A. from Harvard University (’91) and M.S. in Communications from Syracuse’s S.I. Newhouse School (’94).